Did hitting the gym more often make it onto your list of New Year’s resolutions? If you’re looking for a place to get in shape, TripleFit is definitely a front runner. Let’s not hear the same excuses again – nowhere to find the class schedules that you need specifically for the body goals you want to achieve? No facilities that really cater to what best benefits you? Not enough sports apparel? TripleFit solves all those problems – and more – with the aim of engaging, empowering and enhancing its clients, whatever their goals. To this end, its gym spans 23,500 square feet. And the size of the gym is not for naught. Within the compound, you’ll discover an impressive suite of facilities that allow for more than 320 different classes to be conducted. You can definitely expect to find something perfectly tailored for your individual needs. Classes cover all areas in the fitness trinity – flexibility and balance, endurance, and strength. If you’re looking for something to help your core and balance, you could opt for calisthenics or any of their nine different yoga variations that range from athletic yoga to core yoga. For something more focused on strength and endurance, try your hand at HIIT. Alternatively, you could opt for conditioning programs and circuit-based training such as Bootcamp, EudroFit, High Impact and Triple Speed. You could even try your hand at TripleFit’s own obstacle course. Lastly, for strength, you could also sign up for TripleFit’s Barbell Club or Lift Academy. So you’ve got your classes accounted for. What else? The TripleFit gym also offers some of the latest technology from its collaboration with Polar. With this global leader in fitness tracking, TripleFit is able to bring to its members the facilities that help them upgrade themselves as effectively – and efficiently – as possible. Aside from that, TripleFit’s fitness tech zone also features several other brands such as Fitbit and Harman. You can get your hands on various fitness trackers from these brands, alongside other wearable technology like JBL’s sports-friendly headphones. And if you’re wardrobe-conscious, head on over to TripleFit’s retail zone and you’ll find stylish fitness brands on the rack for you to pick from. We’re talking Under Armour. Every Second Counts. Odlo. C3fit and Newline to name a few. 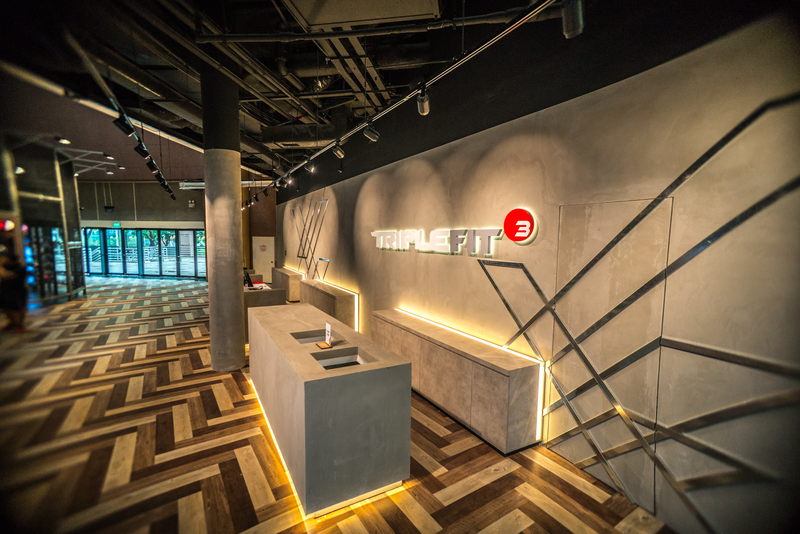 With exciting wearable sports technology, unique fitness-fashion collaboration and up to the minute facilities, TripleFit is the place to be this 2019. Visit TripleFit at 9 Raffles Boulevard, #02-63, Millenia Walk, 039596 (tel: 6255 5064) or visit the website here for more information.